Our company holds immense experience in this domain and is involved in offering wide assortment of Anti Stress Herbal Medicine. LIVESTAMIN Diastan Capsules is an amazing supplement with wonderful medicinal uses and health benefits. We are the Leading Manufacturers and Provider of Ayurvedic Medicine. 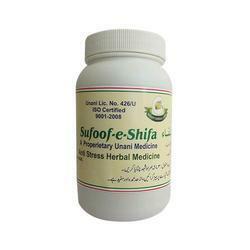 We provide the best quality of Ayurvedic Medicines. We are highly acknowledged organization engaged in presenting a remarkable range of Diamruth Powder. Try out Organic wide range of Yunadent collection ... now available at Kikaboni Organic Store. Grovel Drugs & Chemicals Pvt. Ltd. Pack Type: Jars Of 200 Gms & 400 Gms Powder.bottle Of 100 Tablets.box Of 10x10 Blister Strips. Sudhakalpa Calcium Carbonate: 54.0 mg.